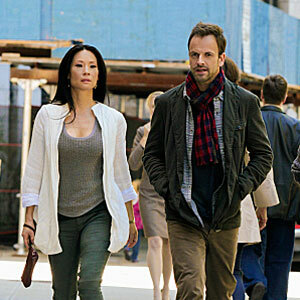 I have just seen the first episode of the new TV-Series Elementary with Lucy Liu as Dr. Joan Watson. It has promise and I just love good Sherlock Holmes stories. And now that modern Brain Science actually confirms that his way of thinking is accurate according to Maria Konnikova. Listen to the RSA talk: The Scientific Method Of The Mind: What Sherlock Holmes can teach us about decision making with Maria Konnikova. Doing 5 minutes of Mindful Mediation each day has scientific measured effect of increased cognitive ability. Use your memory right with techniques of Chucking and Storytelling. Focus at the Task at hand. Multitasking is a myth. You wanna a Piece of … me mind? I also found this today David Chalmers from TEDxSydney talking about The Extended Mind. Tomorrow I’m going to to “Speak my Mind” as I’m walking with a local politician here in Varberg. So far so many of my thoughts has been circulating around the mind, reality and the future here on planet Earth. And on Friday we are talking the Sustainable city here in Varberg too. This entry was posted in Mindfullness, Storytelling, The Mind and tagged #Blogg100, Journaling, Maria Konnikova, Sherlock Holmes. Bookmark the permalink.